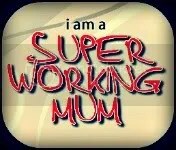 Work | Call Me Mummy!! Let the biting begin! And what else? This past week or so has been pretty busy for us as we’ve got some in-laws in town, including 14 month old twins! My goodness! Twins are HARD work! Bless them… I hope to put up some pictures later on but for now just thought I’ll write a quick post! How are we Crawling, Standing and Sleeping…? It’s official, Anjie is crawling!!! And is she stopping there?? Nooooo, she’s using everything in her path to stand up now! I’m talking my legs, her daddy, her cot, chairs, sofas and heck, even the radiators (quite worrying I tell you)! It’s so lovely to see and I’m so proud of her! And she’s so fast too! I wasn’t expecting her to do much of these things until like 8-9 months! But believe me, I’m glad! These achievements remind me of the Pampers commercial which shows babys’ climbing chairs with Coldplay’s Viva la Vida playing as a soundtrack. Their smiles at the end their climbs were soo proud and happy! That’s the smile Anjie has when she stands up and I just can’t get enough of it… An example being this picture! Very cheeky! Especially since she was supposed to be asleep! Funny enough nothing major has really happened this week. Can’t wait to get to the 28 week point so I can proudly say I’m in my third trimester! So got a week to get there! 26 weeks and starting to feel the pressure! My boss is away for a few weeks at work so it seems I suddenly have a lot more work on my hands! Thankfully he’ll be back next week so that should be sorting itself out very soon, thank God!